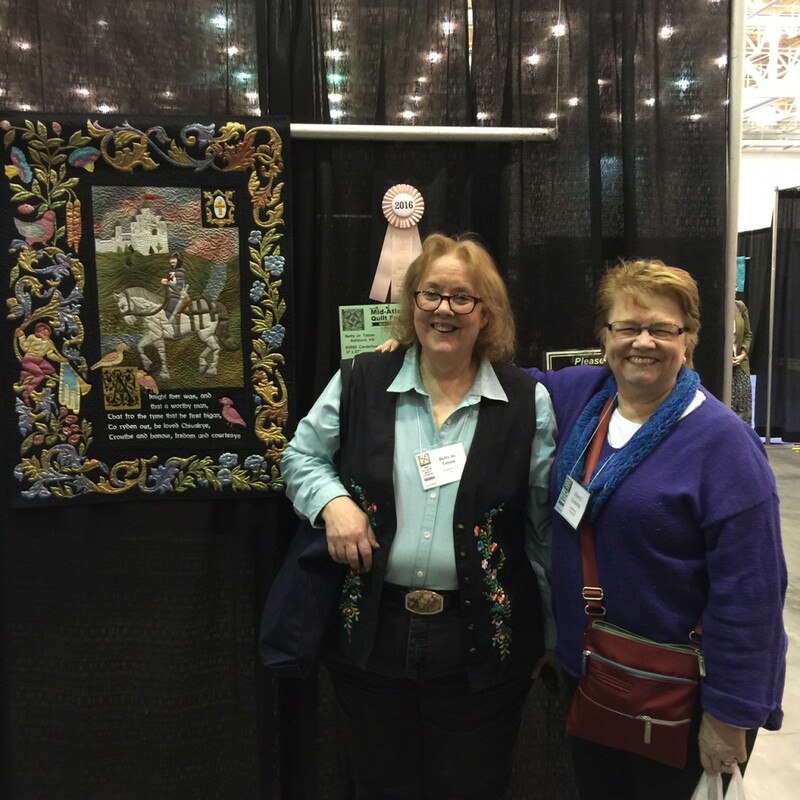 …I had a lot of fun at the Mid Atlantic Quilt Festival (MAQF). I had several items on my agenda. I found some of the longarms heavy and difficult to move in smooth curves, and some moved smoothly and easily but had a feeling of flimsiness about them. The floor did not have Innovas or Gammills. 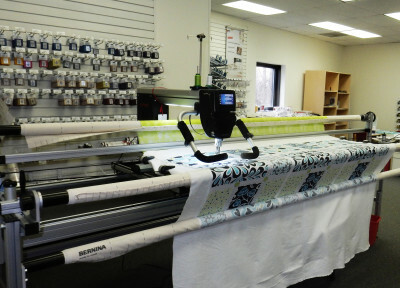 My DIL has a Gammill and I have tried them during previous shows and found them quite wonderful But of the machines on the floor I really liked the Bernina longarm on a frame the best. It was smooth, the stitch is beautiful, and it seemed solid. Bernina’s long arm (taken in G Street Fabrics). I really want one, but as you see it’s enormous. I also tried sit down longarms. The most interesting thing about this that I discovered almost no advantage from any of them over my Bernina 830 in its custom made cabinet that I have in my studio. I also like to use decorative stitches from time to time for my quilting as well as straight stitch. So I’m hoping that Bernina will continue to make the 8 series sized machines. I may need to invest in a longarm in a few years for one reason or another, but right now I am quite happy with quilting on my 830. I hunted for hand dyed fabrics for landscape quilts, but was unsuccessful. I only found some intriguingly beautiful hand dyed wools. I don’t have a wool project in my plans for this coming year, so I passed them by. 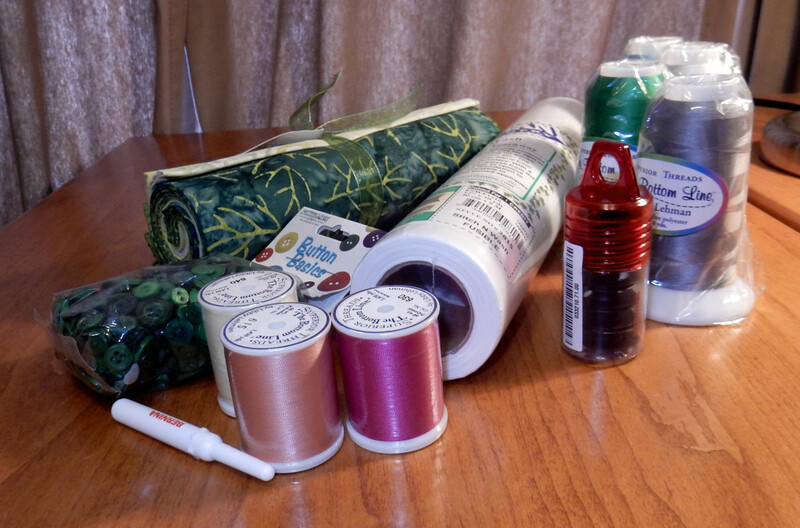 I walked through the entire vendors sections and concluded that the things I might call “secondary items” to quilters and sewists are growing and make up nearly half of the vendors. These would include such things as jewelry, glasses, shoes, vibrating pillows, and so on. There really weren’t as many fabrics, threads, and notions that directly relate to our craft as I would have liked to see. I did buy some threads at Superior Threads, and a few other notions. Of course I looked at every quilt in the show. I was extremely impressed with how well MAQF had displayed the quilts. Each quilt was well shown and you could get close to them (without touching, of course) and see them really well. They weren’t roped off. I like that. I’ve been to shows (Quilt Odyssey comes to mind, especially) where you could hardly see any quilts in the cubicles other than the one directly ahead because the ones on the sides were roped off and you couldn’t get directly in front of them. There were white glovers there to keep an eye on things for the most part. I really don’t object to roping as long as it isn’t at the cost of really seeing the quilts well, but it’s especially nice to get close. 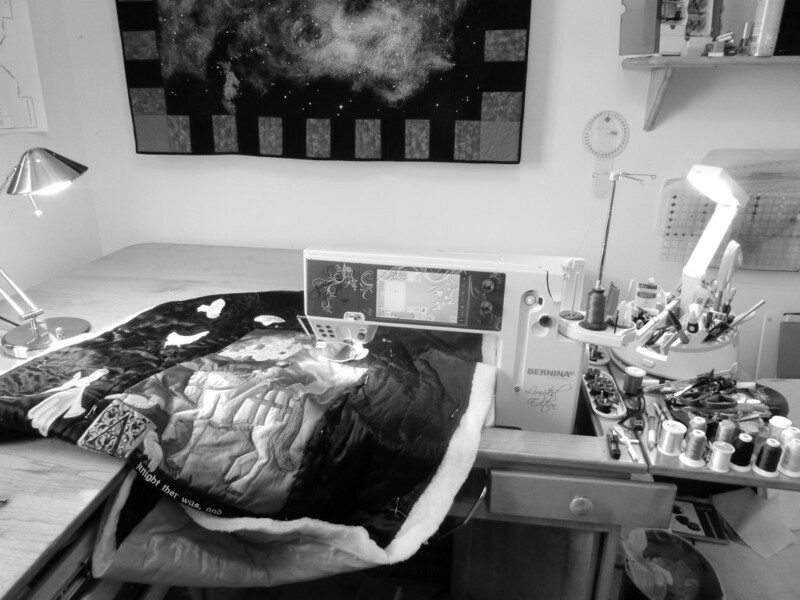 I hung around my own quilts observing reactions and answering questions. That was really fun one moment in particular when Stevii Graves showed up with Karen Sievert. Stevii was the judge who awarded my Canterbury Knight her Judge’s Choice ribbon. Stevii Graves and me in front of Canterbury Knight. Stevii awarded the quilt her Judge’s Choice Ribbon.. I was so honored by this. Sew happy everyone. Have a wonderful week. Note: Once again my blog is being constantly attacked by hackers and bots. I have removed the subscribe button which was attracting hundreds of hacker subscriber attempts. I only can leave the comment section open about a week for this reason. I did improve the overall security of this blog by subscribing to Wordfence, so they aren’t getting through. I apologize to my readers and am looking for further measures I can take to prevent these attacks.